Get A Policy will ensure that you're home, auto and business is protected with the right coverage for your specific needs in Texas. 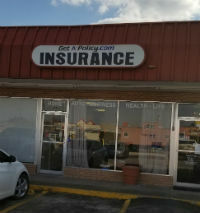 Get A Policy Insurance Services in Greenville, TX offers comparative insurance quotes and policies from many of the top insurance carriers in Texas. Our agency provides online insurance information to individuals, families, and businesses. We will review the questions that matter most to you and offer you the best price for the best coverage available. Get A Policy services Dallas, Tyler, Austin and San Antonio from our Greenville Insurance Agency. Ask about our multi-policy home and auto insurance discounts.